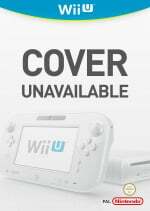 As we head towards the end of 2016 we still have a number of Nintendo Download Updates to enjoy on Wii U and 3DS. The European details for later in the week are here, and include some top-notch retro gaming, much-anticipated DLC and some intriguing Nindie downloads. Let's get to the details. 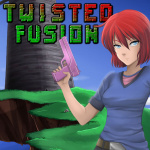 Twisted Fusion (Leuvsion, €5.00 / £4.00) - This Wii U-exclusive adventure / platformer has been long in the making, having been successfully funded on Kickstarter back in Spring 2014. It utilises the GamePad for a second display for those that want it (but also supports single-screen gaming), and offers a fair bit of freedom in approach, with added extras like monster breeding also included. Keep an eye out for our interview with the developer before the game launches, and we'll also get working on a review. 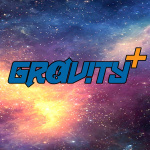 Gravity+ (Nitrolic Games, €6.49 / £5.89) - A puzzle game 'suitable for all ages', you guide a robot through over 20 stages while manipulating gravity to avoid traps and obstacles; it also includes challenges and online leaderboards. Pinball Breakout (nuGAME, €7.00 / £6.00) - As the name suggests this one combines block-breaking gameplay with pinball mechanics, throwing in a multiplayer mode for good measure. F-Zero X (Nintendo, €9.99 / £8.99) - It seems slightly surprising that this has evaded the current-gen Virtual Console up to now, but that's the case. It's a welcome addition now, with exciting speed, some memorable track designs and all-round fun racing to be found. You can check out our retro Wii Virtual Console F-Zero X review if you want a blast from the past; it's also worth noting that this will be the 60Hz version, too. 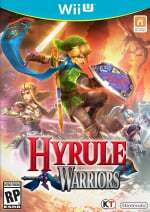 Hyrule Warriors: A Link Between Worlds Pack (Nintendo, included with season pass, €4.99 / £4.49 Wii U only or €8.99 / £8.09 with 3DS version) - Available from 1pm UK / 2pm CET on 31st October. Cartoon Network: Battle Crashers (GameMill Entertainment, €29.99 / £19.99) - A retail title only arriving as a download on 3DS in Europe, this is a multi-platform side-scrolling brawler that mashes up a range of popular IPs, including characters like Finn, Mordecai and Clarence. Collide-a-Ball (Starsign, €1.99 / £1.99) - Essentially a puzzle game that adopts a 3D isometric view, you need to manipulate ramps, blocks and more before setting balls loose; the goal is to have both reach the level-end flag at the same time. Ice Station Z (Wobbly Tooth, €2.99 / £2.99) - A survival game set in the Arctic, this surprisingly budget-priced game seems ambitious in concept, setting you the task of scavenging and surviving in a dangerous location. It seems interesting, and we'll be sure to check it out in a review. 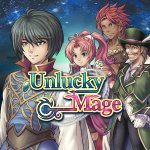 Unlucky Mage (KEMCO, €9.99 / £8.99) - Based upon the description of this one, which features kingdoms in conflict and a mysterious loner who can save the world, and considering KEMCO's modus operandi on 3DS, we expect this one to be a retro-inspired RPG. We shall see, and that doesn't necessarily have to be considered a bad thing, either. Mario's Super Picross (Nintendo, €7.99 / £7.19) - The 3DS has a lot of Picross options, and now this rather enjoyable SNES entry in the genre joins the list. This one does nothing wrong, as we pointed out in our Wii U Virtual Console Mario's Super Picross review, but are D-Pad and button inputs in this retro entry worth dealing with in light of the substantial range of current-gen Picross games already on 3DS? That's up to you. SEGA 3D Classics Collection (SEGA, €29.99 / £24.99) - This includes nine terrific 3D Classics, four of which are coming outside of Japan for the first time; that's a lot of wonderful retro gaming at its best on 3DS. We go through the key games and explain why it's a must-have in our SEGA 3D Classics Collection review. Available from 4th November. Hyrule Warriors Legends: A Link Between Worlds Pack (Nintendo, included with season pass, €6.99 / £6.29 3DS only or €8.99 / £8.09 with Wii U version) - Available from 1pm UK / 2pm CET on 31st October. Sonic Bundle #3 (SEGA, €4.99 / £4.49) - Includes Sonic series: Cute Style, Sonic series: Shadow Style and Sonic series: Silver Style. That's everything for this week's Nintendo Download Update in Europe, though remember a special Nintendo Direct and update are also expected for Animal Crossing: New Leaf on 2nd November; naturally we'll live blog and cover the Direct when it comes. Let us know what you plan to download in the poll and comments below. Get the discounts from 2 weeks ago while you still can! You should probably point out that the Hyrule Warriors DLC will be (is?) out today. I've been looking forward to Twusted Fusion for at while now, and I'm surprised it's only €5. I also have the HW season pass, so getting that DLC as well (Yuga FTW!) Overall a good week! I wonder if that Cartoon Network game uses the same engine as Punch Time Explosion..? I hope not, for its sake. 1. Itching to play a new game on Nintendo's current system. 2. Twitching at the thought of the thrill of taking a hairpin turn at insane speeds. 3. B****ing at Nintendo for every time they make something F-Zero-related that isn't a new F-Zero game. I think I'll give Ice Station Z a try. I'm busy with Fallout 4 (quite late, I know) and halloween discounts but I need to give my good ol' 3DS some love. Wasn't the Sega 3D Classics also supposed to be a physical release also? I can't seem to find a retailer selling the UK version. @bluemujika Yep, it's supposed to be available as a retail copy in Europe too - will have a look around. Better wait for Pokemon Sun / Moon. More crap. Different week, same story. Want the Sega collection, but can't see it listed on Amazon for a physical release yet? Getting Ravio and Yuga and F0X if i have 2 euros left-over on the e-shop(already bought it on Wii so I'll only upgrade it). Bad week, I'll just continue playing Chrono Trigger on my 3DS. Ice Station Z looks awful and wonderful at the same time. Is it gonna have voice chat actually? That would be reason enough to me to buy. Time to be drivin' through on max. Like Pokemon TCG before it, given I've moaned about it for years I guess I'd better buy it now it's available. Always loved the random cup. Will get Sega Collection if i can find a physical copy, Is it even getting a physical release? @allav866 "If it comes to US this week"
@speedyboris NoA has been playing catch-up with its VC releases. I want to be at least a little bit optimistic. I'll buy the Sega 3D Classics Collection physically... IF I CAN ACTUALLY FIND A SHOP THAT'S SELLING IT! Also getting Twisted Fusion, because it looks fun, and is at a good price. Nothing for me this week, WHICH IS GOOD as I don't really want to spend any more money and I don't need to buy something every week. Though still toying with one or more of the Halloween sales after grabbing all the GBA Castlevanias. Perhaps one of the Gouls and Ghosts? @SLIGEACH_EIRE Yeah, those comments are getting quite samey week after week. @martynstuff Whoops, thanks, that's now corrected! Good to know that new VC games that are not just region catch ups are still possible this late in the game, especially N64 games. Now if they want to catch up with the Wii, Nintendo only has Puzzle League and Smash Bros left. Bomberman Hero will ultimately be up to Konami and I don't think Orge Battle 64 will be arriving since the Square Enix support has been a lowsy 1 game but its close enough. At least we finally got DK64 to make up for that? It's stating the obvious, but this makes for pretty dispiriting reading each week. Bar re-released old games and discounts on some good older games there hasn't been anything much to get excited about for months, particularly on Wii U. I have spent much of this generation catching up on really old games from past systems that I missed. Without the virtual console and some re-makes it would have been a pretty barren lanscape! The early death of AAA content on Nintendo home consoles seems to be a feature of each hardware cycle recurring with depressing regularity. After enduring it on four successive consoles I'm not sure I'm ready to jump into Switch, no matter how enticing it seems from this standpoint. Maybe it's time for me to kick my Nintendo habit and get a PS4. @Blister Agreed, except that Wii got some really good games late in its lifecycle. And you really should get a PS4 if you're running out of games, it has a lot of games that aren't on Wii U. @Mahe I think you probably have a point regarding the Wii. Cheers. For a brief moment I thought it said F Zero GX, that Gamecube had come to the virtual console... You're sitting on a gold mine Nintendo. USE IT. F-Zero X upgrade and Hyrule Warriors DLC (Wii U and 3DS). 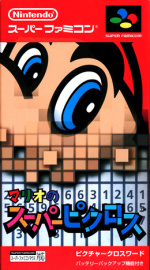 Wonder if this will be the third time Mario's Super Picross gets an EU "import" release of the game and yet still not still be released in NA for whatever reason. @Scapetti Point taken, but I also note the key words in your post: "compared to". Twisted Fusion and F-Zero X for me this week plus Hyrule Warriors DLC. To those who are wondering where the physical copy for Sega 3D Classics Collection is being sold in the UK, it's available at Argos (for £24.99, same as eShop). It's supposedly an Argos exclusive according to a rather quiet reply to a comment on Sega Europe's Twitter account. Confusing as to why it's only on Argos, but it's better than it being an eShop exclusive. @ThomasBW84 "Cartoon Network: Battle Crashers (GameMill Entertainment, €29.99 / £19.99) - A retail title only arriving as a download on 3DS in Europe." @RainbowGazelle Nintendo's PR listed it as download only I think (but I will double check), so maybe it's eShop only in mainland Europe?